Find the can’t-miss events in Houston with our Day + Nightlife Guide for Wednesday, April 18 to Sunday, April 22, 2018. Axelrad’s Birthday Party with Neon Indian DJ Set | Friday, April 20 to Sunday, April 22 | No Cover – Axelrad celebrates their birthday with a 3-day party featuring local DJs, live bands, and a DJ set from Neon Indian on Saturday. 6pm each night. Yappy Hour at Midtown Park | FREE – Enjoy a pet-friendly happy hour at Midtown Park that features treats from Urban Tails, giveaways, contests, doggie yoga, and prizes. 5:30pm to 7pm. Selena Karaoke Night at Houston Food Bank | No Cover – Belt out songs like “Como La Flor” and “Dreaming of You” as the Houston Food Bank hosts a Selena Karaoke Night. There will be a short volunteer shift followed by a costume contest and karaoke. 6pm to 9pm. Selena Trivia and Sing-a-long at Under the Radar | No Cover – Put on your bustier and red lipstick and test your knowledge of the legendary Selena Quintanilla at this trivia night at Under the Radar. There will also be Selena music with sing-a-longs and a Selena costume contest. 7pm to 10pm. John Egan in Concert at La Grange Houston | No Cover – Spend hump day evening with a concert from local singer-songwriter John Egan at La Grange Houston. 7pm to 10pm. Chromeo in Concert at House of Blues – See the Canadian electro-funk duo Chromeo with openers Phantom at House of Blues. Tickets start at $33 up to $175, but you may find better or cheaper seats using TicketNetwork’s online marketplace. 7pm. Spring Sitcom Trivia at Your Pie | No Cover – Show off your knowledge from your favorite laugh track tv shows as Your Pie in Downtown hosts their Spring Sitcom Trivia series. Featuring hilarious shows like The Office, Big Bang Theory, Parks & Recreation and Friends, the winning teams can win weekly gift certificates. At the end of the 8-week series, each member of the team with the most points will win a pizza a week for one year. Player combos are $12.99 and include unlimited topping “Build-Your-Own” pizza and a pint of beer or glass of House Cab or Chardonnay. 7:30pm to 9:30pm. Jazz Night at Brasil Houston | No Cover – Spend a relaxing evening on the Brasil Cafe patio and hear jazz fusion sounds with the On Three Jazz band. 8pm to 11pm. Open Mic Comedy Night at Darwin’s Pub | No Cover – Practice a new joke or just sit back and have a laugh when Darwin’s Pub hosts their weekly Open Mic Comedy Night. 8pm to 11pm. Loteria and Steak Night at Spring Street Beer & Wine Garden | No Cover – Play Loteria, also known as Mexican Bingo, and indulge in a delicious steak, ahi tuna steak, or portobello steak at Spring Street Beer & Wine Garden. Prizes will be awarded to winners. 5pm to 10pm. Foo Fighters in Concert at Cynthia Woods Mitchell Pavilion – Led by frontman Dave Grohl, the Foo Fighters come to town to play the Cynthia Woods Mitchell Pavilion in The Woodlands. The Struts open the show. Tickets start at $45. 7pm. Ferris Bueller’s Day Off Movie Screening at LaCenterra at Cinco Ranch | No Cover – See an outdoor screening of the ’80s movie Ferris Bueller’s Day Off at LaCenterra at Cinco Ranch in Katy. 7pm to 10pm. Thursday Night Dart Tourney at Rudyard’s British Pub – Every Thursday, the Houston Darts Association and Rudyard’s hosts a Blind Draw Doubles tournament where you can play for cash prizes. Entry fees will be determined at the start of the tournament, but they are generally $7. 8pm. Turtle Racing: The 10th Season at Little Woodrow’s | No Cover – Squeal with delight as your turtle races to cross the finish line when Turtle Racing returns to Little Woodrow’s for a 10th season. Expect hilarity, special drinks, DJ tunes and more under the Midtown skies. 8pm. Bowling For Soup in Concert at White Oak Music Hall – See the pop-rock band, Bowling For Soup with openers Dollyrots and Not Ur Girlfrenz at White Oak Music Hall. Admission Tickets start at $20. 8pm. Lee Ann Womack in Concert at The Heights Theater – See the country singer-songwriter Lee Ann Womack at The Heights Theater. The Vandoliers open the show. Admission Tickets range from $28 to $75. 8pm. El Danzón Dance Night at The Dive – The dance night, El Danzón features roots cumbia and Latin classics on wax with Mexican Blackbird along with guest DJs at The Dive. 9pm. Brohug at Spire Houston – DJ and producer Brohug spins dance music at the Spire nightclub in Downtown. Cover charge at the door. 9pm. Psychedelic Art Show & Market at Insomnia Gallery | No Cover – See original, colorful, and tripped out psych-inspired art by Houston artists along with a market featuring jewelers, artists, glass blowers and more at Insomnia Gallery. 7pm to 11pm. Rihanna Night Light Vibe at 3rd Ward Tours – Cruise the city streets on bikes with a group of people while vibing out to songs by Rihanna. The ride begins at 3rd Ward Tours. Tickets range from $10 to $21. 7:30pm to 9:30pm. 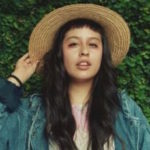 Nina Diaz and Wild Moccasins in Concert at Rockefellers – Hailing from San Antonio, Nina Diaz rose to prominence playing with Girl in a Coma during her teenage years. Now on her own, she’ll be stopping by Rockellers for a bill that includes local favorites Wild Moccasins on the verge of releasing their new album. Tickets range from $12 to $15. 8pm. ComedySportz Match Improv Show at CSz Arena – Two teams battle for laughs and points as they make up scenes, games and songs on the spot with audience participation and suggestions incorporated into the act. Tickets are $20, but you may find limited discounted tickets for $14. 8pm. Chocolate and Art Show Houston at The Garage – Indulge yourself in some of Houston’s up-and-coming artists, photographers, and creators at The Chocolate and Arts Show. This art show will include live body painting, live music, face-painting, live portraits, and free chocolate. Tickets range from $15 to $20. 8pm. Jim Gaffigan at Smart Financial Centre – Stand up comedian and actor Jim Gaffigan brings The Fixer Upper Tour to the Smart Financial Centre at Sugar Land. Tickets range from $49.50 to $95. 8pm. Harold & Kumar Go To White Castle Movie Screening at City Acre Brewing Co. – See a screening of the hilarious movie Harold & Kumar Go To White Castle at City Acre Brewing Co. City Acre will also be offering up a White Castle-inspired menu that includes mini hamburgers and more. 8pm to 10pm. A Fistful of Soul at The Continental Club | No Cover – Bust a move at Houston’s monthly ’60s soul and rhythm & blues dance party at The Continental Club in Mid Main. 10pm. Kinda Super Disco & DJ Ruede Hagelstein at Rich’s Houston – Kinda Super Disco presents the German producer, singer, songwriter, and DJ Ruede Hagelstein at the LGBT-friendly nightclub, Rich’s Houston. Tickets range from $10 to $20. 10pm. Goode Company Beerfest at Armadillo Palace – Enjoy live music, local beers, delicious fare and patio games at the Goode Company Beerfest. Tickets are $30 per person, and a portion of the proceeds will benefit Coastal Conservation Association. Noon to 3pm. The Fitness Marshall Live at Stereo Live – Take part in a live cardio and dance concert with The Fitness Marshall at Stereo Live. Tickets are $30. 3pm to 4pm. Spring Fling at The Owl – Join the Women of Wardrobe for their 13th annual Spring Fling at The Owl. Spring Fling will feature food, cold drinks, and raffle prizes, all while supporting Dress for Success Houston. Tickets are $20 in advance; $25 at the door. 3pm to 6pm. The Black & White Show 3.0 at The Hardy & Nance Studios | No Cover – Experience an art exhibition filled with nothing but black and white photographs, paintings, sculptures and more at the 3rd installment of The Black & White Show at The Hardy & Nance Studios. 5pm to 9pm. Flea by Night at Discovery Green | No Cover – Shop for everything from art to furniture and collectibles from a variety of vendors while enjoying live music and food trucks during Discovery Green’s Flea by Night. 6pm to 10pm. DJ Uproot Andy at Boondocks – Global bass DJ and producer, Uproot Andy brings hit Bumper to Bumper Tour to Boondocks along with the Bombón DJ collective. Cover charge is $5. 10pm. Earth Day Market at Karbach Brewing Co. | FREE – This Earth Day, head to Karbach Brewing Co. to shop from local vendors and artisans. The family-friendly market will include live music, food, and local craft beer. Noon to 7pm. 5th Annual Crawfish and Brews at 8th Wonder Brewery – Enjoy some delicious crawfish, a selection of craft beer, and a lineup of live music at the 5th Annual Crawfish and Brews fest at 8th Wonder Brewery. Tickets range from $10 to $45. Noon to 6pm. Brandon Rogers at Houston Improv – Laugh it up when comedian and sketch comedy writer Brandon Rogers hits the stage at the Houston Improv. Tickets range from $20 to $60. 2pm. Todd Rundgren in Concert at House of Blues – See the legendary ’70s singer-songwriter and producer Todd Rundgren on his Utopia Tour at House of Blues. Tickets start at $75. 6pm. Homeshake in Concert at Rockefellers Houston – Best known as the former guitarist for Mac DeMarco’s live band, Homeshake takes the stage at Rockefellers Houston. Tickets start at $17. 7pm. Ian Moore in Concert at The Heights Theater – Catch Canadian singer-songwriter Colter Wall at White Oak Music Hall. Jade Bird opens the show. Tickets start at $15. 7pm. Platform 1 Year Disco Anniversary at The Flat | No Cover – For their 1 year anniversary, DJ Sun, Andy Savage, and FX Box play an all-vinyl set of Disco, funk, boogie, and house at The Flat. 9pm.